1. E-Aksharayan, Desktop Software Launched By IT Ministry. India is known for its rich cultural, religious, and linguistic diversity but this often plays a role in hampering communications throughout the country — a problem that can be easily resolved using the cutting-edge technology that we see around us today. Taking this idea forward, the Indian government has launched e-Aksharayan — a desktop software for converting any scanned or printed Indian language documents into fully editable text. The application, which is available in seven Indian languages, was launched yesterday by Ajay Prakash Sawhney, Secretary, Ministry of Electronics and Information Technology (MeitY). At the event, Sawhney commented upon how demand for regional content is growing and that we should take the idea of India stack ahead and create ‘India language stack’. 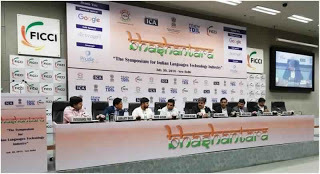 Sawhney also laid emphasis on the fact that barrier-free communication is critical for the country and that the goal is to have real-time translation capability in each of the Indic languages. 2. 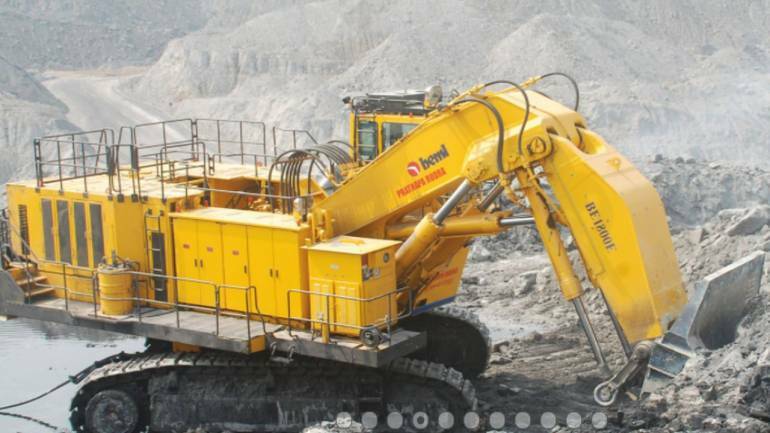 BEML And HEC Sign Pact To Manufacture Mining Equipment. Two public sector units -- BEML and Heavy Engineering Corporation Ltd (HEC) -- signed a MoU to produce heavy mining equipment leveraging the capabilities of each other. "The MoU will result into additional Rs 150-200 crore revenue for both PSUs. The collaboration will entail re-entering rope shovels and walking draglines manufacturing with higher indigenisation " BEML chairman and managing director D K Hota said after signing the pact. BEML had not participated in tenders for the last 3-4 years in these two products, officials said. HEC chairman and managing director Avijit Ghosh said the purpose is to leverage manufacturing capabilities of each other in order to bring down delivery time, reduce working capital and create the capability for high capacity equipment to meet the growing demand. He said the mining products could be co-branded. At a time when around 78 percent of mining equipment is imported, such tie-up will push `Make in India` initiative, officials said. Coal India is a major client for this mining equipment and its chairman and managing director A K Jha was present on the occasion. Ramping up coal production to 1 billion tonne in 3-4 years is not possible without indegenous equipment. In FY`18, coal production was 567 million tonne. 3. India, Germany Sign Pact On Financial And Technical Cooperation. German Ambassador Dr Martin Ney and Joint Secretary Sameer Kumar Khare (Department for Economic Affairs, Ministry of Finance) on Wednesday signed agreements on financial and technical cooperation within the framework of the Indo-German development cooperation. As part of the agreement, Germany has pledged to spend 1,055 million euros (around Rs 8,500 crore) for development cooperation in India. According to the release issued by the German Embassy, the committed funds would focus on "sustainable urban development" like infrastructure, urban mobility and climate resilience that go along the "Smart Cities" initiative. "The cleaning of Ganga will be supported in the future also," the release said. Along with the key aspects agreed between the two governments, the agreement also pledges significant additional resources for the energy sector. This will help the Indian government, in particular, to further expand solar energy and disseminate energy efficiency measures. 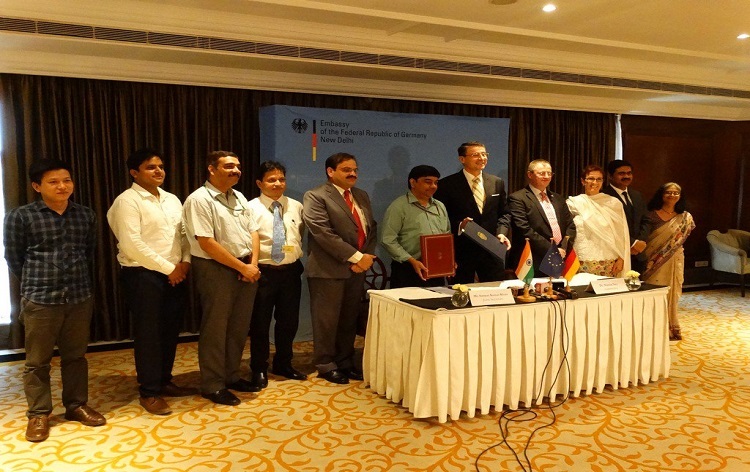 Environmental and resource protection is also one of the funded areas of the Indo-German development cooperation. Vocational training and social protection as well as the promotion of Indian women entrepreneurs are other areas covered. Germany and India, both being G20 members, are committed to the implementation of the United Nations Sustainable Development Goals, the 2030 Agenda, the Paris Climate Agreements (November 2015) and related global responsibilities. 4. Important Cabinet Approvals: 1st August 2018. The Union Cabinet approved the first extension of Concessional Financing Scheme (CFS) to support Indian Entities bidding for strategically important infrastructure projects abroad.Under the CFS, the government has been supporting Indian Entities bidding for strategically important infrastructure projects abroad since 2015-16. As the objectives of the Scheme continue to be relevant, thereby, the government proposed to extend the Scheme for another five years from 2018 to 2023.Prior to the introduction of CFS, Indian entities were not able to bid for large projects abroad since the cost of financing was very high for them. The Union Cabinet approved the proposal for restructuring of Agricultural Scientists `Recruitment Board (ASRB). The ASRB will now be a 4 member body instead of 3 members. It will have a Chairperson and 3 Members. SRB’s Chairperson would serve for a period of three years or till attainment of 65 years of age, whichever is earlier. For the purpose of autonomy, secrecy, accountability and efficient functioning, ASRB shall be delinked from ICAR and will be attached with Department of Agricultural Research & Education (DARE). 5. 2-Day Indo-US Military Cooperation Meeting Begins In New Delhi. 6. IWAI Launches Dedicated Portal FOCAL For Cargo Owners And Shippers. 7. NITI Aayog To Host Investors’ Conference For Development Of Islands. In a bid to attract investments for the sustainable development of eco-tourism on a public private partnership (PPP) basis in the Andaman and Nicobar and Lakshadweep Islands, NITI Aayog is all set to host an investors’ conference next week. As many as 11 anchor tourism projects are proposed to be implemented with private sector participation under suitable risk-sharing model and through open-competitive bidding. The conference is scheduled to be held on August 10 in New Delhi. Island Development Agency (IDA), an apex body, under the chairmanship of Home Minister was formed in June 2017, while NITI Aayog has been mandated to steer the holistic development of islands programme, along with the respective UT administration/ State Governments. IDA has reviewed the 11 anchor tourism projects (six in Andaman & Nicobar and five in Lakshadweep) and several other infrastructure projects such as digital connectivity, and green energy, for implementation in the first phase. “Out of these 11 projects, seven (four in Andaman & Nicobar and three in Lakshadweep) are in ‘Ready to Launch’ stage. Detailed land survey and demarcation of project sites, carrying capacity assessment of the project islands, CRZ application and pre-feasibility study have been undertaken,” an official statement said. 8. Rajasthan 1st State To Implement Biofuel Policy. Soon, the State Government will release Biofuel Rules for 2018. The State Government will be putting emphasis on increasing production of oilseeds. Further, the State Government is promoting research in the fields of alternative fuels and energy resources. Biodiesel plant with a capacity of eight tonnes per day has already been installed in the state. There would be further emphasis on biofuel advertisements by the state government to create awareness about the same. Women`s self-help groups (SHGs) will be created by the State Rural Livelihood Development Council to encourage the use of biofuels. If would also help farmers to dispose off their surplus stock in an economic manner and would also reduce the country`s dependence on oil imports. 9. NITI Aayog Launches Global Mobility Hackathon `Move Hack`. 10. Logo And Tagline For Geographical Indications Launched. Commerce and Industry Minister Suresh Prabhu today launched a logo and tagline for Geographical Indications (GI) to increase awareness about intellectual property rights (IPRs) in the country. Darjeeling Tea, Tirupathi Laddu, Kangra Paintings, Nagpur Orange and Kashmir Pashmina are among the registered GIs in India. Prabhu said the initiative would help promote awareness and importance of GI products. He said the ministry is working on ways to promote these products. 11. World`s 1st Hindi-Speaking Robot `Rashmi`. The developer claimed it as world’s first Hindi speaking realistic humanoid robot and India’s first lip-synching robot. Rashmi uses linguistic interpretation (LI), artificial intelligence (AI), visual data and facial recognition systems. “Rashmi functions under a specially designed software and linguistic interpretation system developed by me. The LI programme analyses the feeling of the conversation while AI program analyses the conversation to extract the response from the device,” Srivastava said. Experts termed it an incredible achievement. “I have not heard of any Hindi speaking robot in India. Though I have not seen the robot, it is incredible if it was developed,” said Dr Somnath Chattopadhyaya, associate professor of IIT-Indian School of Mines, Dhanbad, who is also the dean of innovation and incubation. 12. Pradhan Mantri Ujjwala Yojana Achieves 5 Core Mark. Loksabha Speaker Smt Sumitra Mahajan here today handed over 5 croreth LPG connection under Pradhan Mantri Ujjwala Yojana (PMUY) to Smt Takrdiran of Delhi in the Parliament House. Speaker Smt. Sumitra Mahajan while acknowledging the vision of Prime Minister Shri Narendra Modi and leadership of Minister of Petroleum & Natural Gas Shri Dharmendra Pradhan appreciated the collective efforts of the officials of Ministry and the Oil Marketing Companies in achieving the target of 5 crores. Further, shared advantages of using LPG in terms of health benefits, time saved and ensuring safety of women. Modi Government launched Pradhan Mantri Ujjwala Yojana (PMUY) on 1st May, 2016 and it is implemented by Ministry of Petroleum and Natural Gas through its Oil Marketing Companies i.e., IOC, BPCL and HPCL through their network of distributors across the country. Through PMUY, initially, 5 crore BPL households were targeted for providing deposit free LPG connections to BPL households by 31st March,2019. In a record time of 28 months for its launch, PMUY achieved the initial target of providing 5 crores LPG connection to BPL households. In the current year, considering the huge success of the Scheme, target was revised to 8 crores with budgetary allocation of Rs 12,800 crore. 13. 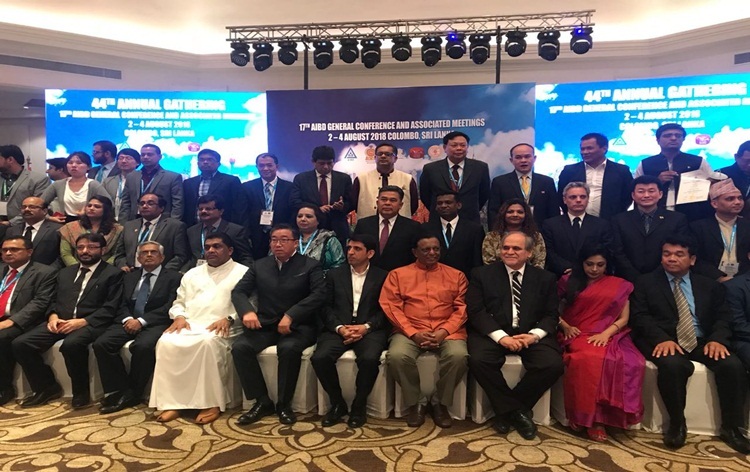 India Elected President Of Asia-Pacific Institute For Broadcasting Development. New Delhi, Aug 3 (PTI) India was today elected as the president of the Asia-Pacific Institute for Broadcasting Development, a regional inter-governmental organisation established in 1977 under the auspices of UNESCO, officials said. India got the presidency of the organisation, servicing countries of the UN Economic and Social Commission for Asia and the Pacific (UN-ESCAP) in the field of electronic media development, for the first time by defeating Iran in the election that took place in Sri Lanka, Information and Broadcasting Ministry officials said. 14. NHAI Signs MoU With SBI For Long Term Unsecured Loan Of Rs 25000 Crore. "It`s a historic day as the country`s largest state-run bank has invested it`s largest amount in a government body," said Nitin Gadkari, union minister for road transport and highways. He said that bankers should be considered as an individual stakeholder whose opinion must be considered. Rajnish Kumar, Chairman, SBI, said that it requires "courage" to lend such a huge amount. The amount sanctioned is an unprecedented disbursal amount by India`s largest public sector bank to any entity. "This is the largest amount of loan to have been sanctioned to NHAI in one stroke by any institution... The authority had invited an Expression of Interest from Scheduled Commercial Banks to fund Rs 25,000 crore... In response to this EOI, SBI offered to fund the entire requirement of Rs 25000 Crore based on one month MCLR," a statement released by the ministry said. Kumar said that NHAI has been doing tremendous work and thus there is "no risk" in lending the funds. "Growth of a country depends on the way it had connectivity," he said. 15. Supreme Court To Get 3 Serving Women Judges For 1st Time. On Friday, the President of India appointed Justice Indira Banerjee, Orissa HC CJ Vineet Saran and Uttarakhand HC CJ K M Joseph as judges of the Supreme Court. Justice Banerjee would become the eighth woman judge in the history of the Supreme Court. She succeeds the likes of Fathima Beevi, Sujata V. Manohar, Ruma Pal and Gyan Sudha Misra and Ranjana Prakash Desai.